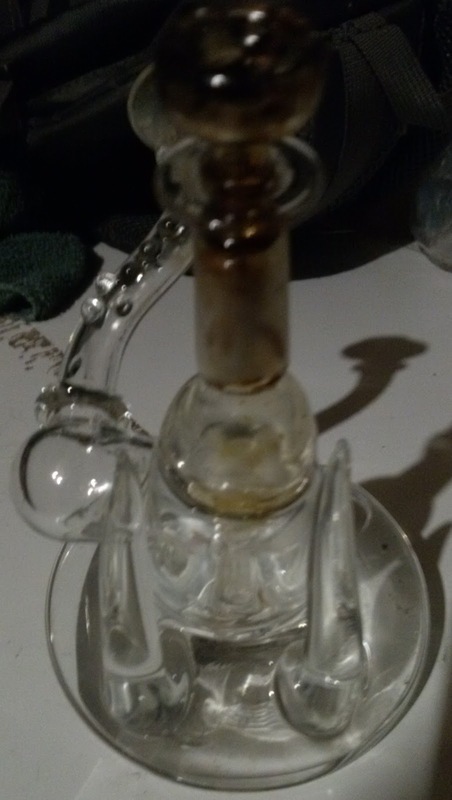 This was the second round of concentrates in an epic night of smoking and dabbing that I described in my last post, a review of White Widow Snap and Pull. Instead of rehashing it, I'm going to just post the picture of the concentrate scene. The primary smoking device was Hellboy, a great little rig with a Quartz Castle nail. This Ghost Train Ecto has got a phenomenal smell. It's sharp and tangy, you can get the bite of marijuana concentrate so cleanly. There's virtually no chemical aftersmell on this wax. The texture is very nice as well. It's crumbly, but takes a bit of pressure. It stayed well on the dab tool, and retained it's large-grain shape which made it easier to measure out a good sized dab. Later on, it also made it easy to roll the dab in kief and in more crumbly/looser-texture wax for a double hit. I am an e-cig vaper (although I've been reducing my vape for the past few months and now just have a few vapes a day). When I was vaping heavy, I tasted and reviewed (in private and public, under another internet identity) something on the order of 400 types of juices. The unicorn of those was a vape that tastes like Hi-C Ecto Cooler. One juicer, the Vapor Chef, has an outstanding Ecto Cooler that tastes like I remember the drink in my youth. It had the right lime balanced with super-explosive tangerine. This Ghost Train Ecto tastes exactly that way, but then the tangerine really pops on the exhale. 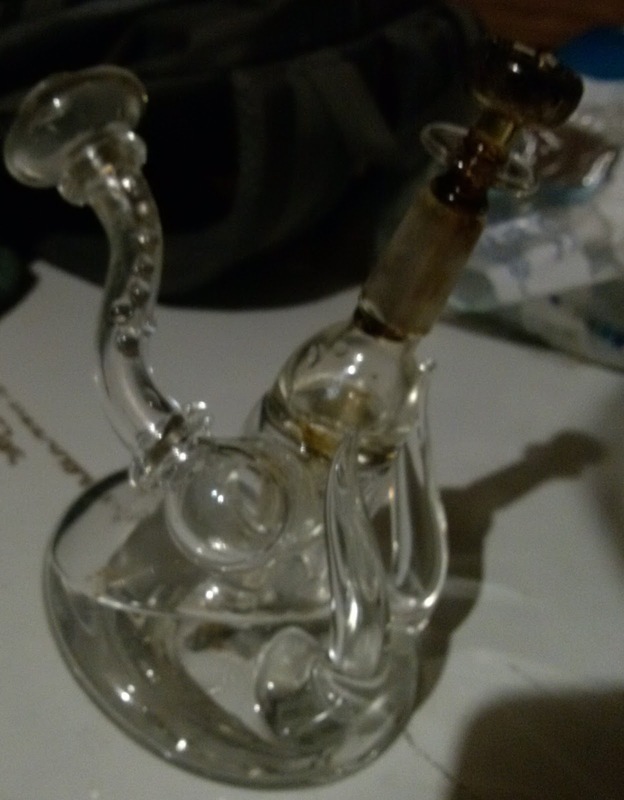 Before all of my first dab's smoke was out of my lungs, I was stoned sideways. The whole of eternity passed as I exhaled that blast of smoke, and I spun counter-clockwise in my seat without moving. This intensity carried on for 10 or more minutes, and simmered down into a long, 20 or so minute gradual come-down. The beginning of concentrate highs are definitely fast, and can be hard. This one was smooth as could be and transitioned into a nice long, mellow emptiness of head and relief of body. Overall, this was an outstanding experience and I highly recommend it - it is a new favorite.